On Sunday, May 21, 2017, following Divine Liturgy, the men of St. Michael’s Orthodox Church hosted a Women’s Appreciation Breakfast. 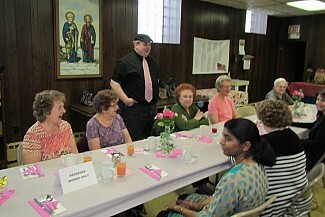 They prepared and served a wonderful breakfast made to order for all the ladies of the parish. The men of the parish worked hard preparing a wonderful breakfast and decorating for the Women’s Appreciation Day Breakfast.